More about iittala Toikka White / Black Male Eider The Haahka, or Eider, is a sea duck residing on the northern coasts of North America, Siberia and Europe, meaning it calls Finland home. The sleek shape of the body and head on the Eider allows this low-lying bird to stand out among the crowd. 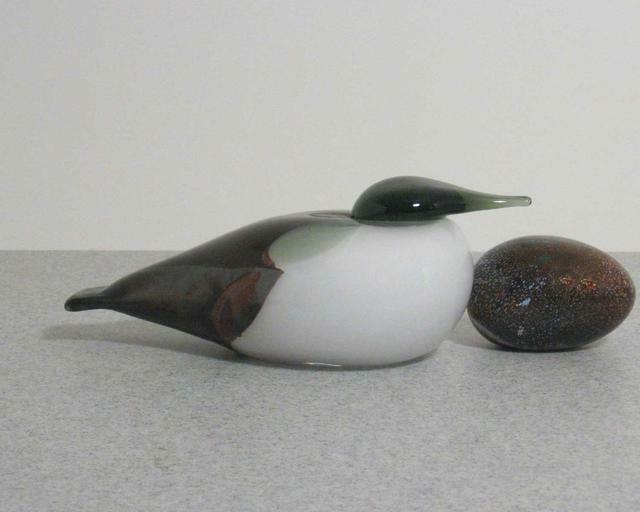 Hints of red subtly shine among the dark tail and head, while a bright white chest creates a unique design on this iittala Toikka glass bird.